Staying in the beautiful Hunter Valley? Our Hunter Valley wine tours from Pokolbin, Lovedale, Rothbury, Cessnock, Broke, Nulkaba, Maitland, Branxton, Singleton and surrounds can pick you up from your accommodation and return you after your tour – the perfect relaxing way to experience the best of the region during your stay. Staying in the beautiful Hunter Valley? Our Hunter Valley wine tours from Pokolbin, Lovedale, Rothbury, Cessnock, Broke, Nulkaba, Maitland, Branxton, Singleton and surrounds can pick you up from your accommodation and return you after your tour – the perfect relaxing way to experience the best of the region during your stay. • Stop at the Hunter Chocolate Shop for treats that are soooo worth the calories! •Small minibus group tours with a maximum of 13 or 20 passengers per trip. Special Note: Please indicate your exact pickup address/accommodation venue on the booking form and we will advise you around 7 days before of your exact pickup time. Pickups from Hunter Valley venues are timetabled according to the bookings for the day. Lunch Options: Purchase your own lunch – Lunch options are available to suit a variety of tastes and budgets from $20-$25 at the venues we visit or you can bring your own lunch. Special Notes: Vegetarian and/or Gluten free options may be available for the lunch however they are not guaranteed. Looking for a special group price? Have a group of 4 people or more for a Saturday tour? Or wanting to book a Mid week Mon, Tues or Sunday tour? If you have a group of 4 people or more we can offer you a group discount price. I’d love to meet your group and have you onboard so please use the form below to ask a question about our Hunter Valley tours or get a quote for a group price. Suzanne can usually reply within 2-3 hours (guaranteed reply within 24 hours). All messages come straight through to the mobile phone! Or wanting to book a Mid week or Sunday tour? 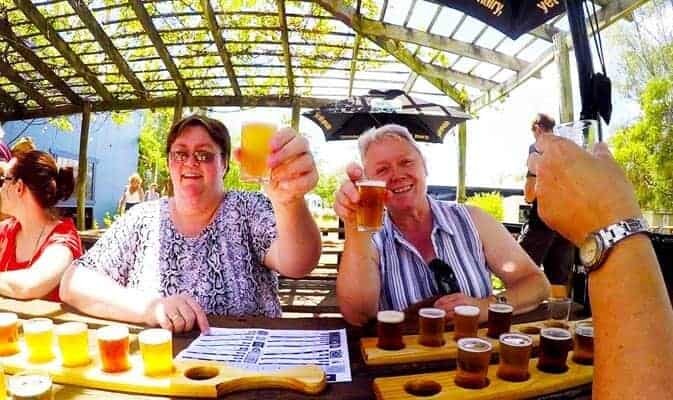 Every Tastes Of The Hunter Wine Tour is taken by a friendly Hunter Valley local who is passionate about striving to exceed expectations and offering your group a personal experience. – Discover wine styles that go beyond the average bottleshop including chilled sweet reds, sparkling reds, dessert wines and ports. 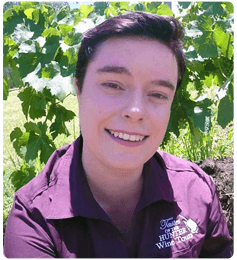 “I love showcasing the hidden gems of the Hunter Valley through memorable and personal tours that welcome those interested in wine to those who have never before been on a wine tour. I only bring groups to cellar doors where I have personally tasted the wines, I personally choose to drink those wines myself (when I’m not driving the bus!) 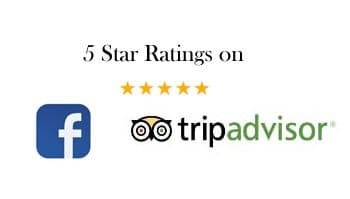 and can attest to the quality and personal service of the cellar door staff (each and every tour as I always accompany the group to every tasting). Question: I’ve never been on a wine tour before. Is this tour right for me? Answer: Yes! Almost every tour we have people onboard who are experiencing a wine tour for the first time. One of the biggest reasons behind the cellar doors that I pick for tours is that the staff are of course passionate about their wines but they are able to communicate this passion in a warm and welcoming way without the “wine connoisseur jargon” that makes people feel uncomfortable. Question: Do you offer Half Day tours? Question: Do you accept last minute bookings? Answer: Yes! Bookings close at midnight the night before a tour and are of course subject to availability. If a tour is booked out it will be ghosting grey in the “Check Available Tour Dates” box and you will be unable to select it. However it is a good idea to book your tour in advance in order to avoid disappointment especially if you are wanting to tour on a Saturday! Question: Is lunch included in the tour price? And can I bring a picnic lunch? Answer: We don’t include lunch in the tour price and yes you can bring your own picnic lunch if you wish. Our lunch venues are flexible enough to allow you to enjoy a picnic on the grass or on the outside picnic tables. We like to keep lunch flexible so everyone can purchase their own lunch according to their tastes and budgets on the day so you are not locked into a set lunch menu. Question: Are we allowed to have fun and chat on the bus? Should we book a private tour? The advantage is I can give you a much better price than a private tour, it keeps it fun and social and we can often get access to sit down tastings (sometimes in our own private room) with a senior cellar door manager or even the owner of a boutique vineyard with a slightly larger group. If you would prefer to book our 20 seat luxury tour bus exclusively for your group you can read about our Private Tours here. 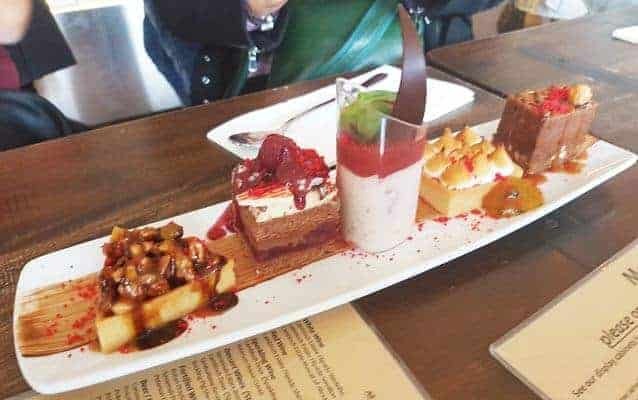 These are the best value for groups of 14 people or more however our Group Food and Wine Adventure Tour gives you a great price if your numbers are less than this and is a relaxed and social experience where you shouldn’t be afraid to have fun! Looking for accommodation/places to visit in the Hunter? Check out our top picks …. Shepherds Gully offers spacious eco themed mud brick accommodation for between 6 and 12 people offering luxury bedding and everything you will need to self-cater your amazing getaway. Be picked up by Tastes of the Hunter at your door for a range of activities and enjoy special mid-week tariffs. Contact us for more details. Set on 200 acres of bushland, Hunter Valley Retreat at Quorrobolong offers an Australian accommodation experience with plenty of space. Enjoy the rustic charm of beautiful cottages with the conveniences of modern amenities and beautiful Australian bushland right on your doorstep! Looking for that truly unique gift for that impossible to buy for person? Check out Handmade In The Hunter Markets on the grounds of Kevin Sobel’s wines. 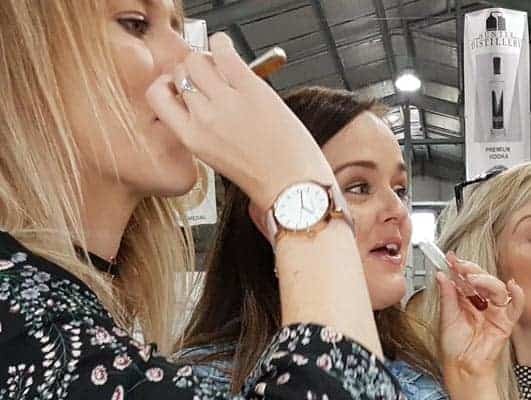 Every item on display is made by a Hunter Valley local from chilli products to candles that look like real edible desserts to personalised dog collars! Take the opportunity to browse and be amazed on market days when Tastes Of The Hunter Wine Tours visits Kevin Sobel’s wines on our tours.